HÀ NỘI — Le Cerne – a hub for creativity and inspiration – has opened at the National Economic University (NEU) in Hà Nội. Its aim is to support and connect Vietnamese youth to enable them to share art and ideas in an open environment where creativity is nurtured. Key activities of the centre are music and community art talks. It will also host talks highlighting the stories of success from start-up founders and ex-NEU students. The hub was launched by the NEU and V-Startup, a network established to support Vietnamese start-ups, especially those working in technology, blockchain, artificial intelligence and the Internet of Things. Trần Thọ Đạt, NEU’s rector, said he hoped the centre would serve as a forum where success stories could be shared and students could get motivation for art and start-up ideas as well as enhance their co-operation. Lê Trung Hiếu, a third-year NEU student, said the launch of the centre was necessary. It offered opportunities for students like him to apply the knowledge gained at the university while using their creativity. For example, they could make a video clip in which the founder of start-up shares their experiences and explains how to secure investments, he said. Nguyễn Ngọc Thu, another student, is part of a student-run business that is receiving support from Le Cerne. Thu said the enterprise provides flowers as decoration for important events of campus. They hope to expand the business to serve the student community and lecturers. Nguyễn Thy Nga, director of V-Startup, said Le Cerne in French means "the ring". It is expected that the centre will help connect students with creative ideas. 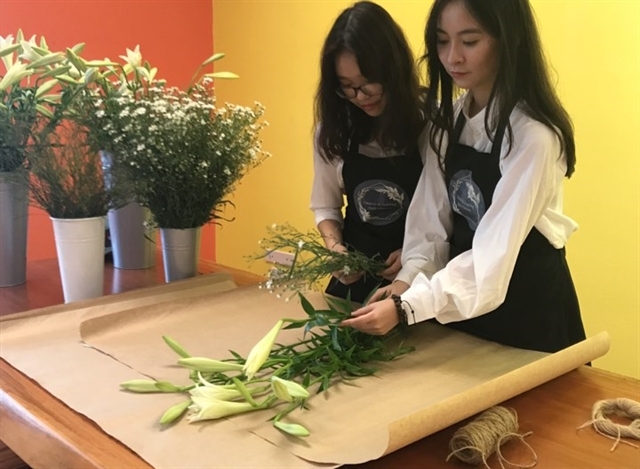 A series of creative spaces like Le Cerne will be launched in many locations nationwide in the future, she said.